On December 12, 2012, Planit will launch a holiday-themed, interactive, Double Dare–style game called Holidares, Salvation through Humiliation. Just in time for the holiday season, Planit’s Holidares website gives visitors a chance to build daily dares that pit Planiteers against each other in a number of holiday-themed stunts. For example, visitors could vote to watch Planit staff endure a game of Twister WHILE dressed as Santa’s elves WHILE barking to the tune of Jingle Bells. Every one of these six outrageous stunts will be captured on video and shared on the website as proof that Planit’s staff lives up to each challenge. Aside from fostering a fun atmosphere among Planit employees during the holiday season and spreading holiday cheer, the Holidares campaign is designed to benefit the Living Classrooms Foundation, a nonprofit organization that strengthens communities and inspires people to achieve their potential through hands-on education and job training using urban, natural, and maritime resources as “living classrooms.” Every person who participates in building these Mad-Lib style dares for Planit employees to perform will be helping to raise money and awareness for the Living Classrooms’ programs. 3) Log into the site with Facebook or Twitter. 4) Follow the directions to vote on what humiliating challenges you would love to see Planiteers perform each day. 5) Encourage your friends to vote; the more participation Planit gets from fans, the more the Living Classrooms Foundation will benefit! BALTIMORE (December 4, 2012) — Ed Callahan, co-founder and executive creative strategist at Planit, was named Eagle Scout CEO of the Year by the Baltimore Area Council, Boy Scouts of America (BAC, BSA). 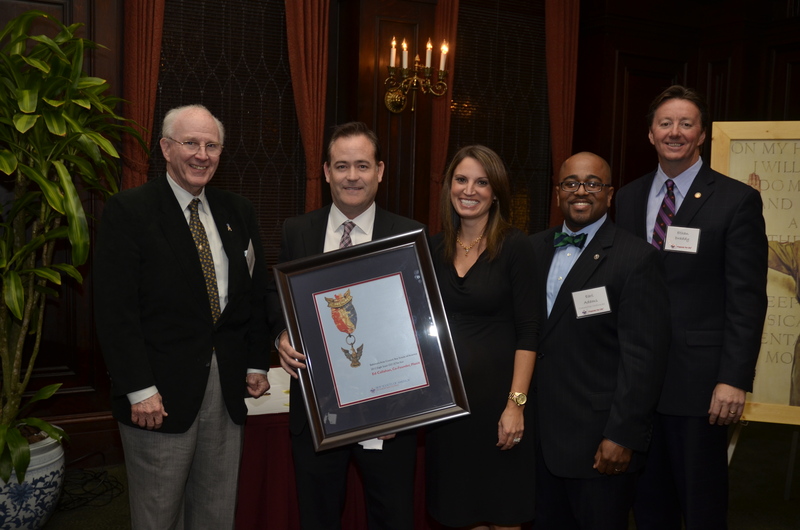 Known for celebrating central Maryland CEO Eagle Scouts, the award recognizes those who exceed expectations in their leadership roles within their designated fields, as well as in their communities. An active member of the BAC, BSA since his Cub Scout years, Callahan exemplifies what it means to be a leader and an Eagle Scout. Leading the agency he founded more than 18 years ago, Callahan has become a pioneer in the advertising industry, both locally and on the national level. Eagle to Eagle Award: This award is presented to an adult Eagle Scout for their service to the young men on the trail to Eagle Scout. Friend of the Eagle Award: This award recognizes an adult who is not an Eagle Scout, but who has helped support Scouts on their trail to Eagle. Eagle Scout Project of the Year: This award is presented to a central Maryland Eagle Scout in recognition of his leadership and commitment to his community as expressed through the completion of an outstanding service project. Honoree: Thomas Surdu of Abingdon, Maryland. Mr. Surdu fundraised for and facilitated the beautification and rededication of the Civilian Memorial at Aberdeen Proving Ground. Headquartered in Baltimore, the Baltimore Area Council, Boy Scouts of America serves more than 36,000 young people in Anne Arundel, Baltimore, Carroll, Howard and Harford Counties and Baltimore City. The council is among the 20 largest in the United States and is led by more than 15,000 volunteers. More than 700 community organizations, representing educational, religious, non-profit, civic and business organizations join in partnership with the Baltimore Area Council by chartering more than 900 Scouting units. Planit, one of Baltimore’s largest and most innovative marketing agencies, is looking for a dynamic, self-motivated and creative social media intern for the spring 2013 semester. Public Relations, Communications, and Marketing majors with a specific interest in non-profit work, and who have a maturity to handle sensitive information, are encouraged to apply. This internship presents a one-of-a-kind opportunity to not only build a portfolio and resume, but also help support and promote the House of Ruth, Baltimore’s shelter for women and children who are homeless and victims of domestic violence. The ideal candidate will be passionate about empowering women, using social media to educate the community and engaging with advocates online. This individual should have deep experience with online social media platforms and be interested in learning and gaining practical experience in a flexible, creative, and forward-thinking agency environment. The intern should have experience using blogs, Facebook, Twitter, Pinterest, Google +, YouTube and a desire to learn about more social platforms. The primary role and responsibility will be to create an annual social media plan for the nonprofit working closely with the Planit social media supervisor as a mentor. The preferred schedule will be at least three days a week which will vary between Planit’s office and the House of Ruth administration offices. Must have own reliable transportation and agree to standard background check. Please send your resume and a brief description of why you believe you would make a great Social Media Intern for Planit working on the House of Ruth social media team to Caitlin Murphy at CMM@Planitagency.com. Baltimore, Md. (September 13, 2012) — Planit, a Baltimore-based integrated marketing firm, announced that it has been named agency of record by Royal Building Products’ (RBP) Exteriors and Distribution division. The market leader in Canada for aluminum and vinyl siding products, Royal Building Products recently doubled its vinyl siding market share following the acquisition of Ohio-based siding manufacturer Exterior Portfolio. RBP’s Exteriors and Distribution division is looking to Planit as a strategic marketing partner to re-introduce the company to the North American market and significantly grow its presence in the U.S., where the category is forecast to grow 8.4 percent per year through 2016. Planit will help the division seize a greater share of the projected $10.2 billion industry. As agency of record, Planit will execute branding, positioning and a website redesign for the Exteriors and Distribution division as it continues to grow in the U.S. Planit will also develop a launch strategy for the division’s new, innovative products scheduled to hit the market later this year. Public relations and social media will support the launches leading up to Royal Building’s participation in the International Builder’s Show in Las Vegas in January 2013. Royal Building Products, a subsidiary of Georgia Gulf Corporation (NYSE: GGC), manufactures and distributes leading materials for the home remodeling, building and municipal construction markets. For over 40 years, the company’s commitment to quality, innovation and customer relationships has attracted the loyalty of a growing number of building professionals, homeowners, architects, engineers and distributors to its products. With operations throughout North America, Royal Building Products offers the renovation, remodeling and new construction industries a broad range of innovative products including siding, trim, accessories, soffit, rain ware, mouldings, deck, window profiles and patio doors. Royal Building Products also manufactures pipe and fittings for the electrical, municipal, irrigation, plumbing and industrial construction industries. At Planit, we recently launched a Facebook contest that gives young marketing professionals the opportunity to compete for a coveted internship position with us during the fall semester. We are looking for creative, motivated, and ambitious candidates who want to gain experience and valuable connections working in our fast-paced, innovative community. The positions, located in Baltimore’s Inner Harbor, will provide interns with the opportunity to develop important skillsets and gain vital experience in specific areas of expertise. If you’re not familiar with Planit, here’s a quick backgrounder on who we are and why Baltimore Magazine keeps naming us a Best Place to Work year after year: We are an agency that is hell-bent on doing whatever it takes to deliver breakthrough communications and bottom line–driven results for our clients. Whether that’s through digital media, non-digital media, PR, social, strategic planning, or the “next big thing”—if it isn’t both creative and smart, we’re not doing our job. That’s why clients including Under Armour, Marriott, New Horizons, McCormick, Def Jam, and Fila continue to trust us and that’s why Advertising Age recently named us the Southeast’s Small Agency of the Year. At Planit, not only do we put out amazing work for our clients, but we take pride in our remarkable internship program. Interning Planiteers don’t just go on coffee runs or answer phones; they have the opportunity to be mentored by the region’s top creative minds including Graphic Designers, Public Relations Specialists, Social Media Strategists, UI Developers, and more. Planit’s interns play a critical part in the day-to-day success of the agency and are involved in everything from brainstorming to design to research. To select the next group of fall interns, Planit’s Ultimate Intern Search invites young marketing students and professionals across Maryland, Delaware, and Washington, D.C., to submit a 60-second video explaining why they’d be the Ultimate Planit intern. Four finalists will be chosen for a three-month internship this fall. There will also be a “People’s Choice” component where Facebook users can vote for their favorite entry; the person with the most votes will be awarded a fall internship. Click here to submit a video or vote for Planit's next intern! Planit, named by Baltimore Magazine as one of the city’s Best Places to Work three years in a row, announces the addition of four new members to its ever-expanding team. Erinn Hesse and Sarah Cannon join the agency as associate account executives after completing successful internships at Planit. Erica Biser joins the team as account supervisor, and Amanda Gretka as UI Developer. Planit has recently been recognized by Advertising Age as Small Agency of the Year delivering clients unique creative strategies and measurable results by following the philosophy of IDEAS TRANSFORM®. Starting as an intern in January 2012, Erinn Hesse proved to be an essential part of the Planit team. In her new role as associate account executive, Erinn will support the account team on clients that include Harbor East, Simply Asia Foods, Camden Partners, The Maryland State Fair, Senior Helpers, The Law Office of Evan K. Thalenberg, P.A., EDMC, and Double Positive. Erinn graduated from Towson University with a degree in Mass Communications on a dual track in advertising and public relations, and minored in business administration. Sarah Cannon also joins the Planit account management team after completing a four-month internship with the company. Her role as associate account executive encompasses a handful of responsibilities for clients such as Island Def Jam Music Group, Four Seasons, Marriott International, Inc., Shawan Downs, Tessemae's, Valley Motors, Inc., and Bay Bank, FSB. Sarah earned a bachelor’s degree in studio art and a minor in business administration from Washington College, located in Chestertown, MD. Erica Biser comes to Planit all the way from Miami, where she served as the marketing director for BR-111 Exotic Hardwood Flooring. As account supervisor, Erica will draw on her experience in the building and construction products industry to manage one of Planit’s newest accounts, Royal Building Products. Erica holds a bachelor's degree in environmental and political science from Hood College. Have you ever wished you were a fly on the wall at Planit, a leading ad agency named by Baltimore Magazine as one of the city’s Best Places to Work three years in a row? Now thanks to Business Photos from Google, anyone with internet access can take a walk through the place that Ad Age calls the Southeast’s Small Agency of the Year. Planit is thrilled to be the first business in Baltimore to utilize Google’s Business Photos to give viewers a 360-degree interactive tour of its unique office space overlooking the Inner Harbor. Google’s Business Photos program has huge implications for small businesses in terms of boosting online visibility. It enables internet users to interact with companies like never before. With the click of a mouse, a comprehensive virtual tour of your favorite business appears. This feature offers companies the chance to stand out on Google Search by displaying images from the interior directly on the search results page. Additionally, it enhances a business' Google Places and Google Maps page, giving prospective clients a better feel and view of the company. In true Planit fashion, the agency added a fun twist to the online office tour to capture what it’s like to work in such a creative and fun environment. While navigating through the office, Planit’s virtual visitors will pass by the fully stocked lobby bar, walk through the account services bullpen, peak inside some swanky conference rooms, and even catch a glimpse of employees playing miniature golf, strumming the guitar and attempting to take flight while outfitted with a giant pair of angel wings. BALTIMORE (May 15, 2012) — On the heels of receiving Best of Show at the Baltimore ADDY® Awards in April, Planit has gone on to win a national ADDY award for the website it created for Fila’s 100th anniversary. 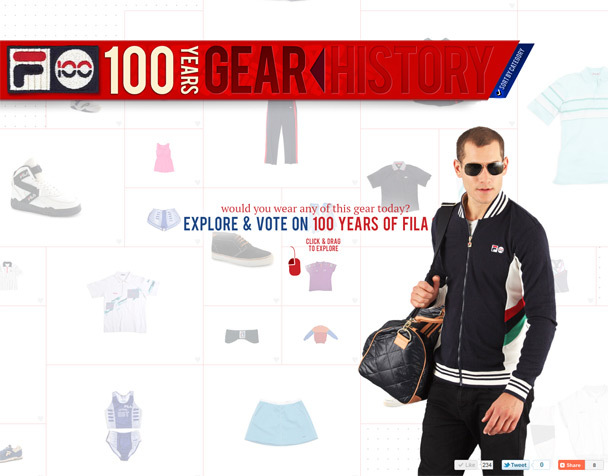 The site commemorates the global lifestyle brand’s century of styles and successes. The Fila 100th anniversary website won gold at the local and district ADDYs, which qualified it to compete against finalists the weekend of May 5 in Washington, D.C. More detail about the award will be announced at the ceremony on June 5 in Austin, Texas. Planit recently participated in the 38th Annual American Advertising Federation of Baltimore awards showcase where the firm won 24 awards, including the prestigious Best of Show award for their Gilgal/Yarden Wines multimedia campaign. 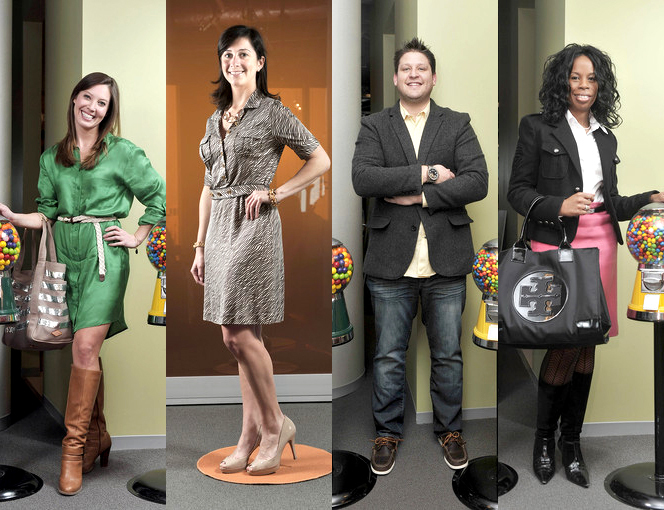 Planit was also named a Small Agency of the Year by AdAge in 2011. BALTIMORE (April 13, 2012) — In three short words Planit cleaned up. The 38th Annual American Advertising Federation of Baltimore ADDY® awards, held Thursday, April 12, 2012, favored one agency over all others: Planit. 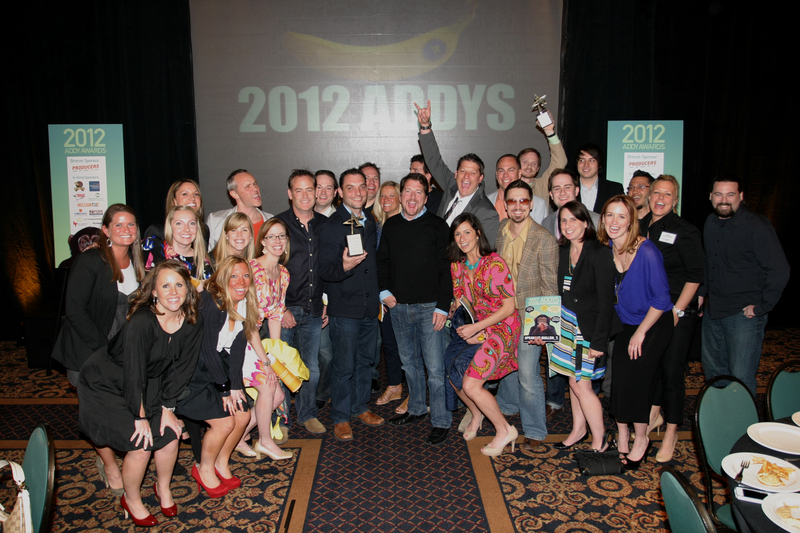 On the heels of being recognized by AdAge as a Small Agency of the Year, Planit’s Best of Show ADDY continues to solidify the Baltimore-based company as the region’s premier marketing and communications agency. The 18-year-old firm joined more than 20 other agencies at the Sheraton Hotel in Towson on Thursday for the 38th Annual American Advertising Federation of Baltimore awards showcase. Among Planit’s 24 awards received was the prestigious Best of Show award for their Gilgal/Yarden Wines multimedia campaign. Other Gold ADDY awards received include work done for Def Jam, Double Positive, Har-Tru Sports, Fila, United Way, Luck Companies, and Planit’s own holiday social media campaign. John-John Williams from The Baltimore Sun stopped by Planit to "glimpse" our stylish Planiteers around the office. Check us out! These photos are also found online here. Mary Bubala of WJZ-TV sits down with Matt Doud to discuss who won the "real" competition during the Super Bowl. No, we're not talking about the game; we're talking about the most talked about commercial. Planit, recently named one of Baltimore’s Best Places to Work by Baltimore Magazine, announces its continued growth with the addition of Andres Cano as user interface developer, Mike Thompson as project manager, and Kelsey Reck as associate public relations account executive. Planit follows the philosophy of IDEAS TRANSFORM® to deliver breakthrough creative and measurable results and is devoted to providing a fun creative atmosphere for its staff of 40. As project manager for Planit’s interactive team and a senior member of the account management team, Mike Thompson’s responsibilities include solutions analysis, IA implementation, and quality assurance testing. He plays a key role in managing expectations and relationships across project life cycles and beyond while incorporating a strong results-oriented mentality to help measure success and create positive ROI for clients and Planit. Thompson is a graduate of the University of Baltimore where he studied business administration and marketing. He comes to Planit from Owings Mills–based T. Rowe Price where he was a senior project manager. Kelsey Reck joins Planit as an associate public relations account executive, a role that involves developing and leading effective PR campaigns on both a local and national level, implementing social media strategies for clients, and assisting in the management of social media properties for Planit. At Planit, she handles diverse communication responsibilities, manages media inquiries, and provides and executes proactive media relations programming. Reck is a graduate of the University of Maryland at College Park where she studied English and dance. Reck comes to Planit from Georgetown-based boutique Sassanova where she served as the event and marketing coordinator. Planit is a strategic, digitally minded agency that leads revolutions for national and global clients. Whether that's through digital media, non-digital media, PR, social or the "next big thing" - if it isn't bold, creative and smart, we're not doing our job. That's why clients including DeWALT, Marriott International, DICKS's Sporting Goods, Universal Music Group and Royal Building Products continue to trust Planit. And that's why we continue to receive stellar industry recognition, from the EY Entrepreneur Of the Year® Award to Advertising Age's Small Agencies of the Year and Best Places to Work.